When you have an online presence, whether it is a blog or an online store, you need to have a logo. When you are first starting out, you may think that a logo is something that you can bypass for some time but you do want to make sure that you get something created for a variety of reasons. One of the things that a logo does for your company or blog is that it helps to develop your brand. When you start from the beginning with a strong logo that portrays what you want for your brand, it helps to solidify the brand and create visual recognition. When you take the time to develop your brand and with a logo, you can instill the brand with everyone that comes into contact with your business. For example, if you have a blog and you create pins for Pinterest while including your logo in the design, the more people see it, the more brand recognition you will receive. 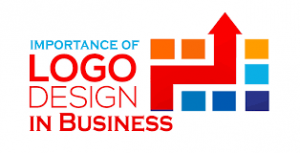 Beyond that, you do not just want to create a logo for the sake of creating a logo. You want to ensure you create the right logo to portray the right message and take your business to the next level. Developing and instilling your brand with your target audience is much easier with a strong logo. Without a way to develop brand recognition, you will have to put in a lot more effort to develop the brand. This is just the beginning of what a logo can do for your company and it will ensure that you start off on the right foot. This entry was posted in John Dessauer Blog. Bookmark the permalink.